Volkswagen is already testing the prototypes of the new electric car called ID. (VW recently omits the second point in the name known so far, ID). Currently, the tests have already begun (with the internal name Neo) in South Africa and there are already official images of the car: an opportunity to let our illustrator realize a rendering. And to take stock of what we know so far about this zero-emission Volkswagen. Will we see it in 2019? Here are all the news coming soon. Looking at the adversaries, the basic version could have 150 hp (like the Nissan Leaf), while the top of the range could be 200 hp (like the Kona). Id. it should have an integrated 7.2 or 11-kilowatt charger and a DC fast charge connection with 125 kW power. The size of the ID. they should be similar to those of Golf. The technical basis is the modular electric platform (MEB). But the step, of 2.83 meters, is longer than that of a Passat of today: that the aims of the ID. are they going to compete in a higher segment? Inside, the ID will probably have a few buttons, a large touch screen and a new voice recognition, without forgetting the small display behind the steering wheel. The ID should compete primarily with the Nissan Leaf and Hyundai Ioniq, but also with electric SUVs such as Hyundai Kona electric, Kia e-Niro and Kia e-Soul. And perhaps, especially with the 600-km version of autonomy, even with the Tesla Model 3. 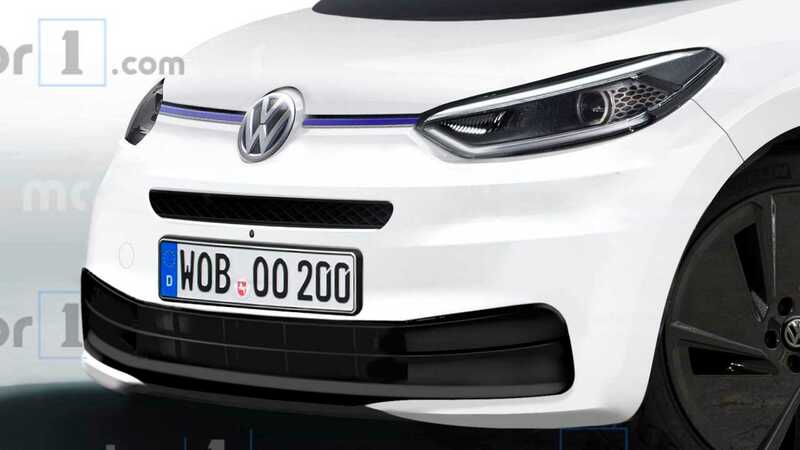 Produced in Zwickau since the end of 2019, the ID will be launched at the end of 2019 or early 2020. Tags: featured, rendering, volkswagen i.d, VW I.D. 43 Comments on "Volkswagen I.D. Hatch Rendered To Life"
If you tell designers to come up with a very aerodynamic compact hatchback they will design something that looks like a LEAF. it does. why do they have to make the roof a different color? The images are only artistic renderings – the real color options are still unknown. I don’t like the additional air intake under the VW logo and i don’t see why you added them. Did any of the prototypes show it? It seems out of place to me too. I hope VW won’t do that. Was this a translation? Article needs some editing. Never trust a established company to be bold. It is a rendering from motor1. It is written on the photo too. wow. I like the look of the prototype car. The plastic body panels simple enough to manufacture. This is why VW does not want to show much of the car at this stage … what part of “artistic rendering” didn’t you understand ? This is JUST A DRAWING from some guy that is trying to imagine what they WOULD look like under the camouflage! 3 different battery ranges is impressive as it can cater to different customers. They claimed that it will be very functional so the interior space should be as much as Hyundai Ioniq which at 124. cu. ft. is the highest among the hatchbacks. The lights and the rearview mirrors are designed like a premium vehicle. NEO as name looks more appropriate than ID. But VW should sell it. I hope they will. Yeah. I wonder where they got that idea (Tesla)? So will these ever make it to the US (outside California)? Golf has always been a very useful and spacious hatchback, so no, I don’t think this “idea” somehow belongs toTesla. Of course they will be available worldwide … this is the proper EV Golf for worldwide release. The one thing they will not tell you now …. where first and what quantities. The Golf offered 3 different battery ranges? No, of course not! And you are right, VW got the idea for 3 battery ranges from Tesla. Possibly, but car manufacturers have always offered multiple engine options in vehicles (usually just for power choice), the battery/power options are logical extensions of that. If they got the idea solely from Tesla, then Tesla got their batter option range from VW. The three battery options were also announced before Tesla offered the Mid range Model 3. Not worldwide. Europe and China only. Approximately 100k units per year for the first couple of years for the hatchback. US gets a crossover version. By 2030 VW says they plan to make 1.8M BEVs per year consisting of 7 different vehicles. If they can get a nice small/midsize crossover with at least 550km of range for a reasonable price (basically AWD version of above with a bit more ground clearance for snow) then that would be great! The Crozz itself does look good so far though. The hatchback is not slated to come to North America. We will get the Crozz and the Buzz production cars. The Golf has never been a good seller in the USA nor Canada. The Gti has sold well and if we get the hatch, my guess is it will be the “hot hatch” version. No, only for Europe and China. US gets a crossover version. No, the ID has been so far only announced for Europe. We have known about the three battery pack options in the ID long before Tesla introduced the Model 3 mid-range version. What does a “step of 2.83 meters” mean? It that the wheelbase? What? That’s the same as a Passat. A Polo wheelbase is 36 cm smaller. Your comments only serves to show you’re a total ignorante having a bad day … probably a testa fanboy that can’t handle the fact that other are building better cars for far less money ! 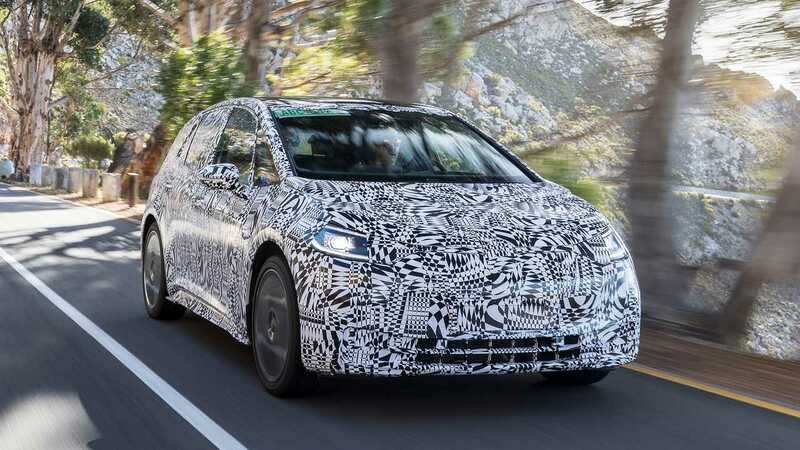 For me it was never a question whether they will have a proper mass produced EV Golf (it’s not a coincidence that it has been the best hatchback worldwide all-time). It was rather a question of when, where and in what quantities so we can understand the ramp up … we know 2020 approx., but have no idea about the other variables. To me, the rest being paper specs of the car are almost irrelevant … as any EV, it will be quick and pleasure to drive. It will have pros and cons, it will have multiple energy packs. All the things which will be quite common for most EV’s three years from now. They have said multiple times that they are aiming for 100k units of the ID in 2020 and that it will only be available in Europe. At first VW said prices start at the equivalent of a “well equipped Golf diesel.” Now, VW employees have dropped the “well equipped” part. Hmmm. I thought it was everything a Tesla is at half the price. I think that it is unlikely to cost less than a well equipped Golf diesel, because even at that price, with the given specs, they should easily sell all that they can make. If they have no trouble selling them, then they have no reason to lower the price further. Additionally, they will still be selling plenty of ICE models, which they won’t want to undercut too much. This Vw ID hatch looks good. More modern and a little futuristic. The A Pillar is to fat. I will wait to see the real thing before giving my last judgment, but from these pictures and the test car, i’m not feeling it. I prefered the concept car. I prefer much more the Golf 7 shape. They should have based the body on the lines of the upcoming Golf 8. They should have kept the model name Golf for the hatchback EV. I will take that bet. How much to get in on this? I think VW is smart to offer 3 battery sizes. I’d take one of the smaller ones if I wanted a second family car for around town. I hope the partnership with Ford results in the production of EV’s of all types for the U.S.